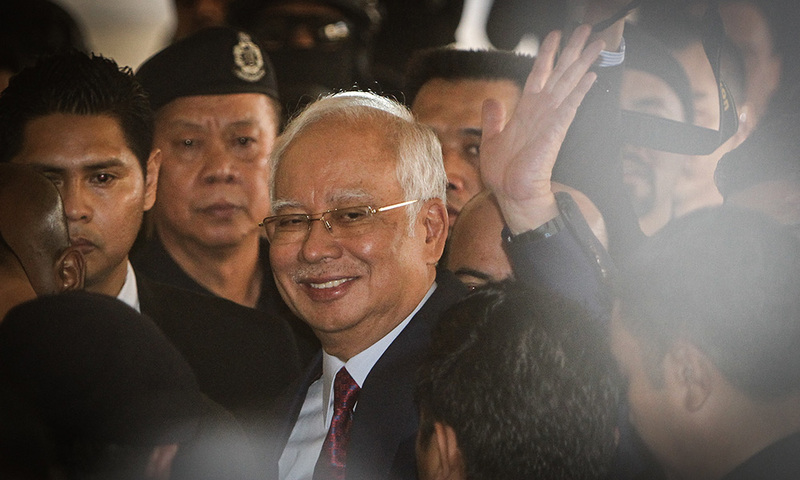 Former prime minister Najib Abdul Razak left the MACC headquarters in Putrajaya today after about four hours of questioning. The vehicle which Najib was in had entered the headquarters through the back door at 9.40am was seen leaving the premises at 1.50pm. MACC deputy chief commissioner (Operation) Azam Baki when contacted confirmed Najib was called in by the commission to give his statement today. The media had earlier reported that Najib was called in by the MACC today to assist investigations into several cases including installation of solar energy panels in Sarawak school. However, a few minutes after he left the MACC building Najib tweeted "I was summoned by the MACC to assist investigations but it was not related to the solar case."